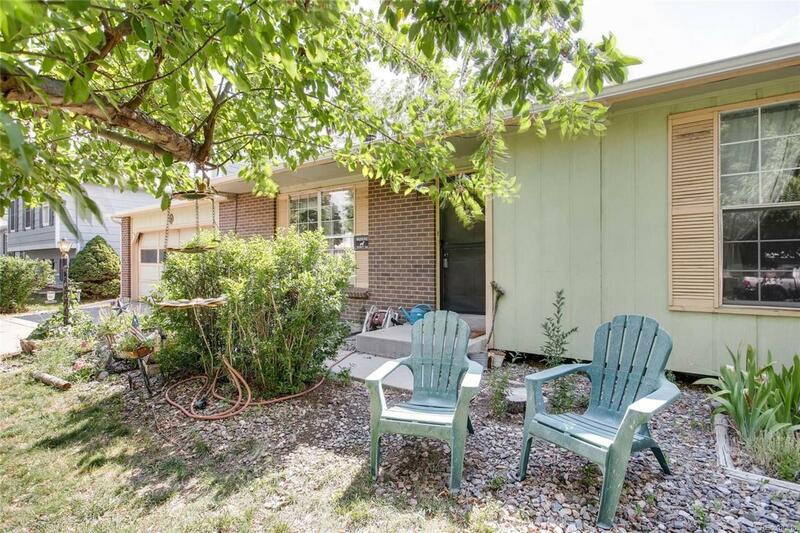 You'll love this 3-bedroom/2 bath Ranch nestled in the heart of Aurora with amazing update potential. Within walking distance of the Elementary, Middle, and High Schools, you'll love the ease of accessing Buckley AFB, E-470, I70, I225, and the numerous parks & walking trails in the neighborhood. This home boasts a newly renovated downstairs bathroom, 2 large wood burning stoves, brand new high efficiency hot water tank, finished basement complete with wet bar, an expansive backyard with mature trees, large covered back patio, and newer roof & gutters! The 2 story workshop in the backyard is a craftsman's dream! It boasts 6 cleverly designed entrances for easy access to the often wasted or hard to reach spaces in the upstairs storage and expansive work space on the main floor- and the best part? TOOLS INCLUDED IN THE SALE OF THE HOME. This is a great price to get into an awesome neighborhood! Call today for a private showing before this gem is gone!